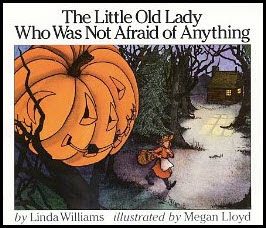 I just saw new story props/pictures for Linda William's book, The Little Old Lady Who Was Not Afraid of Anything, on the Kizclub website. I read this book almost every October. I used real clothing as props and the students participated. The Kizclub story props are great used as felt board pictures, as pull-offs, on device overlays, for sequencing, and in PowerPoint stories and whiteboard activities. If you read this book next month, make sure that you check out Playing With Words 365 for the 2011 blog post about this book. She had many activities and links to activities to go along with this book.